« What Do Bella Swan, Harry Potter and Superman Have in Common? It’s that time of year for the church world: time for camps and VBS’s across the land. Being a youth minister, Greg’s schedule is packed with week-long events such as Workcamp, Impact, and mission trips. In fact, he’s at Workcamp this week. In the meantime, the kids and I are attending Camp Canaan, a day camp that my parents’ church has run for over twenty years now. I have many fond memories of attending Camp Canaan as a camper, volunteering as a counselor, and writing curriculum for it as a college student. And now, in one of those “I feel old” moments, both my children are attending for the first time. 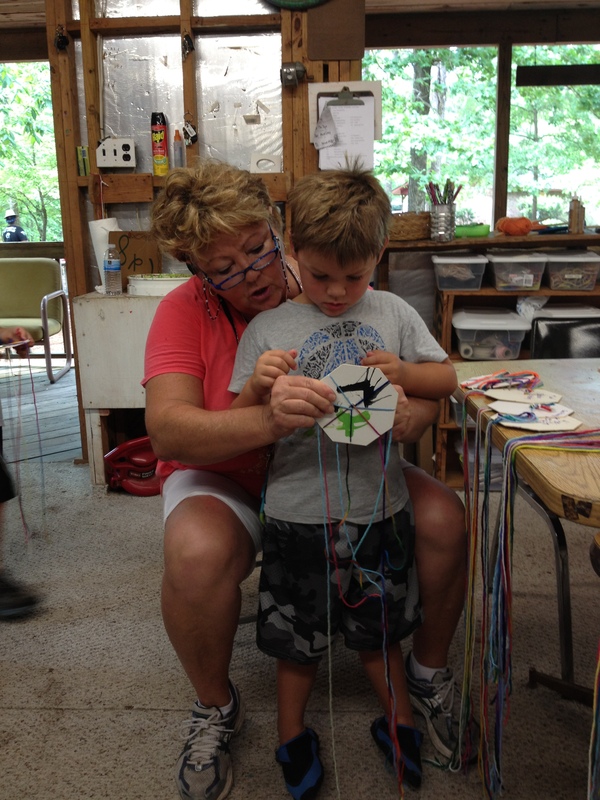 While they are campers, I have been helping my mom in her legendary (yes, it is, mom) craft cabin. It’s been so neat to see the amazing group of women that she has assembled over the years to help her with all the wonderful crafts she teaches the children. It’s very important to her that all of her workers come in with a spiritual focus, so one of the jobs she has given me is to lead a little devo each morning before we all pray together. If I give out the same set of instructions 37 times, but have not love, I am only a resounding gong or a clanging cymbal. If I have the gift of painting* and can help children paint anything they want, and if I have the perseverance to wash out every single brush afterward, but have not love, I am nothing. If I make sure that the kids get all the crafts done and even organize the shelves afterward, but have not love, I gain nothing. Love is patient, love is kind. It does not envy, it does not boast, it is not proud. It is not rude to the campers, it is not self-seeking, it keeps no record of obnoxiousness or disrespect. Love does not delight in evil but rejoices with the truth. It always protects the campers, always trusts in God, always hopes for the best, always perseveres. Love never fails. But where there are painted crafts, they will fade. Where there are “God’s eyes,” they will be lost. Where there are bird feeders, they will probably not last the winter…But what remains when those things are gone is faith, hope, and love. And the greatest of these is love. Camp and VBS present great opportunities to get to know kids and pour God’s love into them. My challenge is to remember that showing love is more important than all my other camp jobs. What would your 1 Corinthians 13 look like? *I don’t have the gift of painting. That was a hypothetical. As I have no crafty gifts, there wasn’t anything to put in that blank. I can wash out paint brushes, though! Kim, that paraphrase read just like a prayer. A prayer over the craft workers and over the kids, a prayer of praise for what God is doing at Camp Canaan. Thank you so much for passing it along to us. My kids went through VBS and the church’s day camp as kids, then worked in them as counselors and he volunteers as they got older. Now my son is directing the day camp for the second year. You might understand, then, why I got a touch of the misty-eye by the time I finished reading this today! P.S. I am rerunning a post that you originally ran here as a guest piece. I hope you get a bunch of visitors from my place and they stick around! Thanks, Tim! I totally understand the misty-eyed thing. I will pray for your son as he directs day camp. I’m sure he will do a wonderful job and will be such a blessing to those kids! Thanks for the prayers, Kim, he can use them. He’s got three weeks of day camp over the next two months, then leads his team to Vietnam for a late summer missions trip. And while he’s doping all that he’s still the junior high intern at church. Where did this over achiever come from? !